In the fast-paced life of today, everything needs a back up so that nothing goes out of place. Particularly so when it comes to having one for your precious data. Amazon.in brings 1TB Slim Portable External Hard Drive from Seagate Backup Plus that is a wonderful techno aid. With this seamless device, you can back up your digital content anytime, anywhere. Easy in portability, the sleek metal design makes it the thinnest portable hard drive that has up to 2TB of capacity. No power supply is needed either since it is powered by the USB cable. This way you get the facility to share photos and videos directly with your social networks. In short it is the simple, one-click way to protect and share your digital life. It seamlessly transfers files between Windows and Mac computers as well. 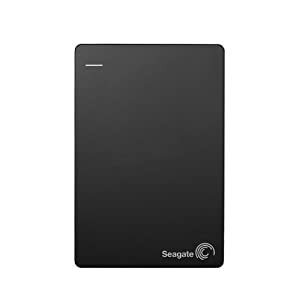 How to get this Seagate Backup Plus Slim 1TB at discounted price of Rs 4200? Take your heavy data along and share it with friends and colleagues as Amazon.in presents 1TB Slim Portable External Hard Drive at Rs 4,200 from Seagate Backup Plus.